The expense of paying for college is second only to that of paying for retirement. This cost varies depending on the number of children expected to go to college. However, even with one child, the eventual cost is still going to be high. Fortunately, you can reduce the total price if you make smart financial decisions. Here are four of the most common mistakes parents make when setting up a college fund for their children. Before deciding on whether to go with a nurse practitioner or doctor degree, you should have saved money to pay for it, and well in advance. The longer you save into a 529 college savings plan, the more your money grows. The beauty of 529 plans is the tax benefits they offer. Know that you cannot tell with 100% certainty which type of personality your children will develop. Therefore, it can be difficult to predict in which field of education your child will enjoy. If they grow up to be a more of a nurturing type, they might consider becoming a nurse practitioner vs doctors for instance. When you compare nurse practitioner vs MD studies, both have very different requirements as far as personality and aptitudes go. In addition, doctors take six years more in average to complete their course than nurse practitioners. You also have to keep in mind what type of education your kid will choose. Online education will probably be even more popular once your child grows up and colleges such as The University of Arizona already offer great nurse practitioner courses that can be taken completely online. I suggest you survey a couple of online universities and see how much they charge for tuition vs traditional classes. This is a common mistake made by parents. By borrowing against the assets of your 401(k), you can disqualify yourself from company matching funds. Another risk of engaging in this practice becomes evident when the company lays you off or if you choose to leave. In such a case, you can find yourself having only 60 days to repay your loan. Failure to do so within this stipulated period could have a negative effect on your Expected Family Contribution. As a result, your eligibility for financial aid the following year becomes compromised. 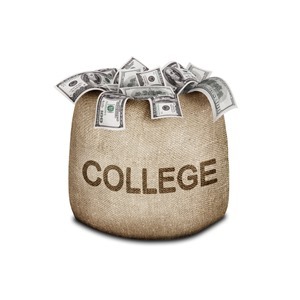 Even after your child enrolls in college, you should keep making deposits into your 529 plan. This way, the plan continues to earn tax-free returns that you can use for future college expenses. Yes, paying for your child’s college education is one of the greatest expenses you will ever incur. However, you can save a lot of money if you start saving for it early using a 529 college savings plan. After your child joins college, continue making payments into the 529 plan to enjoy tax deductions. Finally, resist the urge to borrow on your 401(k) to pay for college tuition. You will only be compromising your eligibility for financial aid.